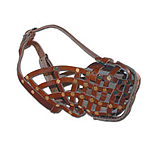 The 1/2 inch wide leather leash was a very necessary addition to our selection of leather leashes. This leash is 6 feet long and rivited for added strength, but thinner at only 1/2 inch wide. 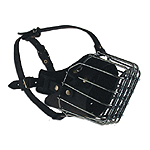 Perfect for mid-sided dogs like Jack Russell Terriers or Cocker Spaniels! They are Identical in construction as our 4 foot, 6 foot, and 10 foot Leather Leashes that are 3/4 inches wide only these are lighter and thinner.